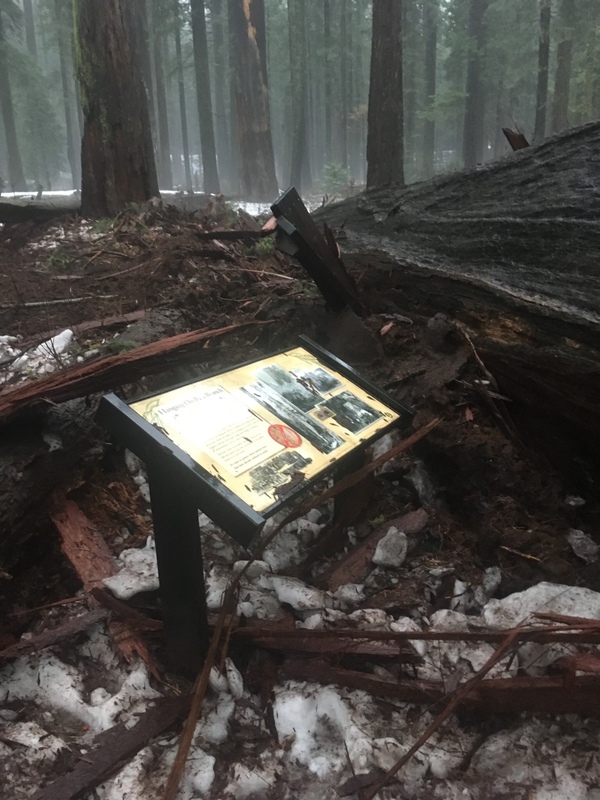 SACRAMENTO, Calif. — The Pioneer Cabin Tree, one of California’s oldest tourist attractions and a beloved specimen of a rare California native species, fell Sunday in Calaveras Big Trees State Park. A combination of trunk and root decay and storm water runoff appears to have brought the giant sequoia down at its base, shattering it and a nearby cedar tree. No one was hurt. The trees fell when the trail to the giant sequoia was closed due to a heavy downpour and rising creek. Flowing water and fallen tree branches are current public safety concerns being addressed by state park staff. Almost a foot of rain has fallen at Calaveras Big Trees State Park near Arnold in the last two weeks, with more than three inches falling Sunday. The Pioneer Cabin Tree is one of the best known giant sequoias, which grow naturally only in a few locations on the western slope of the Sierra Nevada. The giant sequoia is the largest tree species in the world, with some trees reaching a diameter of 27 feet. The Pioneer Cabin Tree stood approximately 100 feet tall and was 22 feet in diameter at breast height - this is as it stood in recent times. 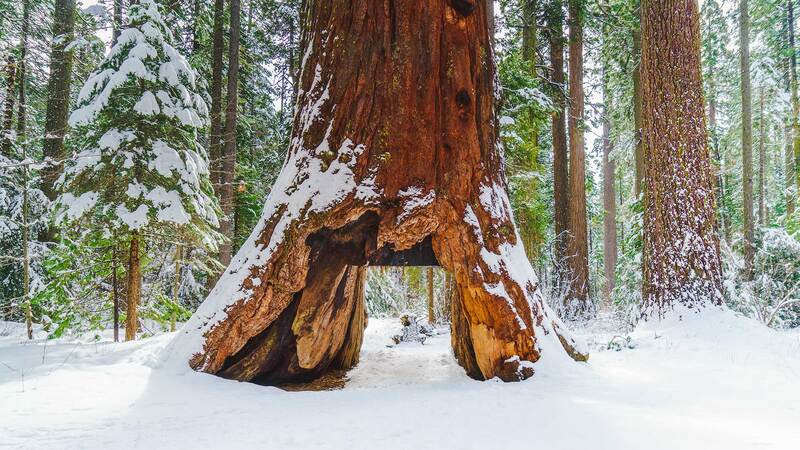 The tree is located in the North Grove of the state park within a relatively large sequoia grove containing more than 150 specimens roughly 2,000 years old. Lightning strikes in the 1800s hollowed out the Pioneer Cabin Tree’s base and later knocked off its crown and opened up its side. In 1881, the Pioneer Cabin Tree base was squared off and enlarged. 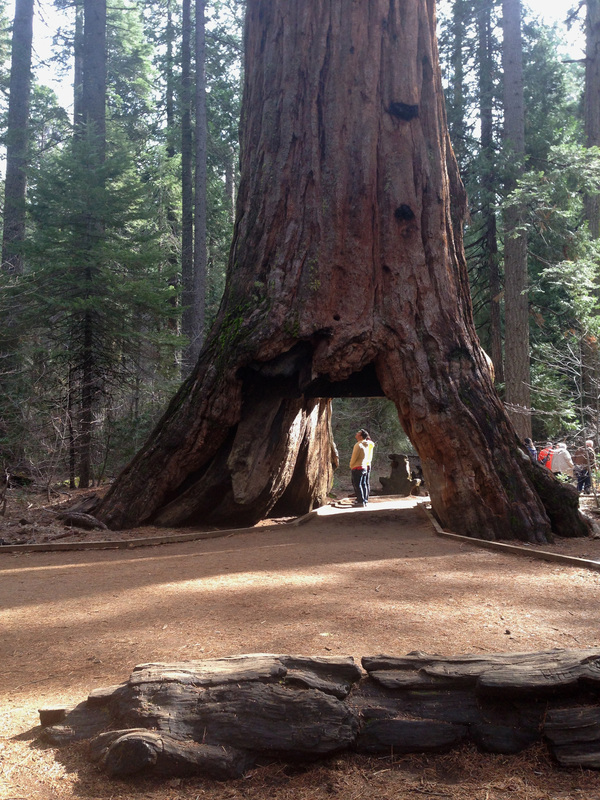 Similar to Big Stump, the base of the 1850 Discovery Tree at Calaveras Big Trees State Park, the Pioneer Cabin Tree helped visitors experience the enormous size of the ancient sequoias. For sixty years, tourists rode horses and carriages through the Pioneer Cabin Tree, and in the 1920s automobiles passed through it. Thousands of visitors posed for photos at the tree. Calaveras Big Trees State Park became a state park in 1931 to preserve the North Grove of giant sequoias. 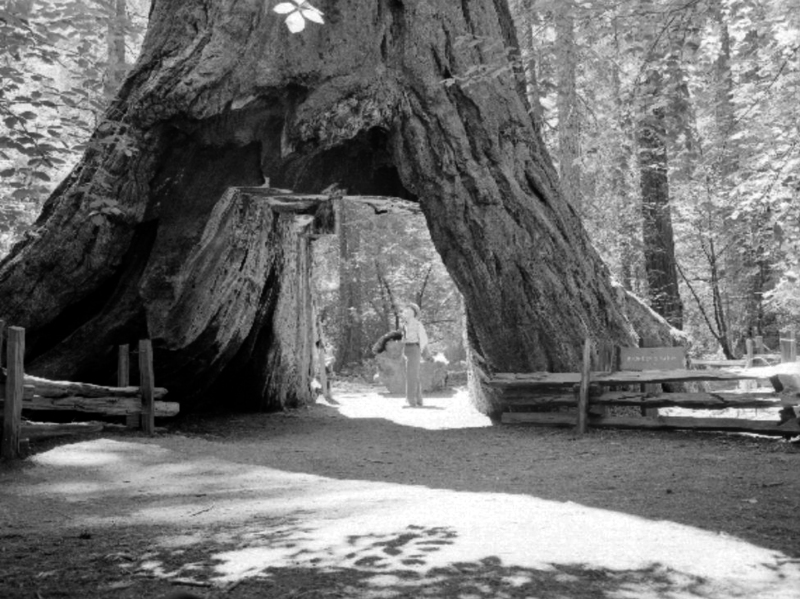 The Pioneer Cabin Tree was one of the last of the historic tunnel redwoods in the Sierra. The Palace Hotel Tree and Smith Cabin Tree remain standing in the more remote South Grove Nature Preserve at Calaveras Big Trees State Park. The California Tree in Yosemite’s Mariposa Grove and three coast redwood tunnel trees in northwestern California are other storied sequoias in public parks. Calaveras Big Trees State Park and its new visitor center remain open during daylight hours with an entrance station on State Route 4, north of Arnold. The North Grove Trail is temporarily closed. 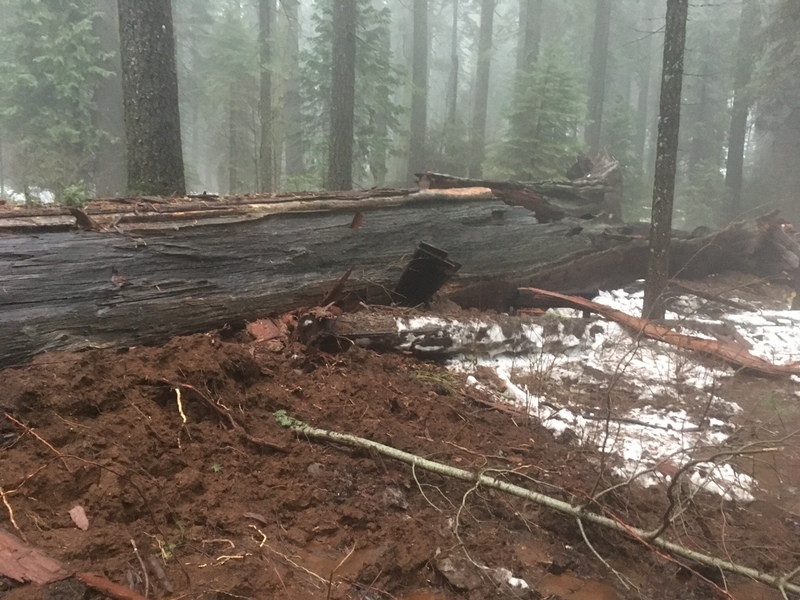 A temporary trail bypass around the fallen Pioneer Cabin Tree may be established as soon as flood waters recede and the trail can be reopened safely. California State Parks will be evaluating what to do with fallen tree.